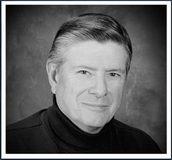 David Quinn is an American author writing historical fiction. His fact-based tales are drawn from the true-life adventures of ancestors discovered through his hobby of genealogy. 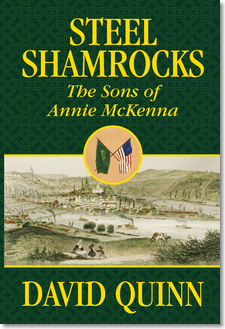 Whether in the Irish immigrant experience, frontier days in the Old West or in a dramatic sea story, Quinn adds a personal connection to the historical record by giving his characters thoughts, emotions and dialogue. From humble immigrant beginnings in early 19th century Pittsburgh, Bernard (Barney) McKenna and Charles F. McKenna made civic service their chosen path to position and influence. One became a beloved mayor and political reformer. The other was a Civil War soldier and distinguished attorney and jurist. But it was their widowed mother Annie who enabled their rise in the face of tragedy and struggle. Get the first chapter free and find out why you will not want to put this book down! The world’s largest sailing ship was on its first trans-Atlantic crossing. And Captain Dow had almost fifty years on the high seas. But hurricane winds and raging seas would overwhelm him and his mighty vessel. Seventeen lives are lost and Dow is called to account, most especially to himself.